Background/Purpose: Methotrexate (MTX) and tumor necrosis factor inhibitors (TNFi) such as etanercept (ETN) are often prescribed for psoriatic arthritis (PsA) either alone or in combination, but fundamental gaps in knowledge about their optimal use remain. This study examined the efficacy of MTX monotherapy relative to ETN monotherapy and the value of adding MTX to ETN in key clinical domains of PsA, including progressive joint damage. Methods: This phase 3, randomized controlled, double-blind international study enrolled patients with active PsA based on Classification Criteria for Psoriatic Arthritis (CASPAR). They were naïve to biologic drugs with no prior MTX for PsA. A total of 851 patients were randomized to 3 groups for 48 weeks: ETN 50 mg plus MTX 20 mg weekly (Combo; N = 283); ETN 50 mg plus oral placebo weekly (ETN-mono; N = 284); or MTX 20 mg plus injectable placebo weekly (MTX-mono; N = 284). The primary endpoint was the American College of Rheumatology (ACR)20 response at week 24. The key secondary endpoint was Minimal Disease Activity (MDA) response at week 24. The study was powered to detect a treatment difference in ACR20 and MDA at week 24 between the Combo and the MTX-mono arms and between the ETN-mono and MTX-mono arms, tested in a Bonferroni-based gatekeeping chain procedure. Additional endpoints included other measures of inflammatory arthritis, radiographic progression, severity of non-articular disease manifestations, and patient-reported outcomes. Results: Baseline characteristics were well balanced in the 3 study arms. Mean (SD) age was 48.4 (13.1) years, most patients were white, and median PsA duration was 0.6 years (mean [SD] 3.2 [6.3] years). From weeks 4 to 24, the MTX-containing arms maintained a mean MTX dose >18.8 mg. ACR20 and MDA response rates at week 24 were significantly greater for ETN-mono vs MTX-mono (ACR20: 60.9% vs 50.7% [P=0.029]; MDA: 35.9% vs 22.9% [P=0.005]) and for Combo vs MTX-mono (ACR20: 65.0% vs 50.7% [P=0.005]; MDA: 35.7% vs 22.9% [P= 0.005]). At week 48, the Combo and ETN-mono arms showed less radiographic progression compared with the MTX-mono arm (Table). Other secondary outcomes are shown in the Table. Overall, the Combo and ETN-mono arms had similar results, with some differences in skin outcomes. Aside from GI events, adverse event rates were similar in the 3 study arms. No new safety signals were seen. Conclusion: This is the first head-to-head comparison of MTX and a TNFi to address fundamental questions in the treatment of PsA. ETN monotherapy or ETN in combination with MTX showed greater efficacy compared with MTX monotherapy. Addition of MTX to ETN did not appear to improve efficacy compared with ETN alone. These results support the use of ETN as monotherapy for PsA. Acknowledgment: Linda Rice at Amgen Inc. and Julia Gage (on behalf of Amgen Inc.) assisted in abstract drafting. The study sponsor was Amgen Inc.
American College of Rheumatology; BL, baseline; BSA, (psoriasis-affected) body surface area; DAPSA, Disease Activity Index For Psoriatic Arthritis; ETN, etanercept; HAQ-DI, Health Assessment Questionnaire Disability Index; LDI, Leeds Dactylitis Index; MCS, mental component summary; MDA, minimal disease activity; mNAPSI, modified Nail Psoriasis Severity Index; mTSS, van der Heijde modified Total Sharp Score (scoring system for X-rays of the hands and feet taken at baseline and at weeks 24 and 48); MTX, methotrexate; PASDAS, Psoriatic Arthritis Disease Activity Score; PCS, physical component summary; SE, standard error; SF-36, Short Form (36) health survey; SPARCC, Spondyloarthritis Research Consortium of Canada; sPGA, static Physician Global Assessment; VLDA, Very Low Disease Activity. aExcept for the radiographic progression endpoints, which are shown for week 48. bP-values are for the comparison with MTX monotherapy. Only the P-values in bold for the ACR 20 primary endpoint and MDA key secondary endpoint measured statistical significance. All other P-values are descriptive and are italicized. c[n] refers to the number of patents analyzed. dThe sPGA scale ranges from 0 (clear) to 5 (severe). Disclosure: P. J. Mease, AbbVie Inc., 2, 5, 8,Amgen Inc., 2, 5, 8,Bristol-Myers Squibb, 2, 5, 8,Celgene Corporation, 2, 5, 8,Galapagos, 5,Genentech, Inc., 8,Janssen, 2, 5, 8,Eli Lilly and Co., 2, 5,Novartis, 2, 5, 8,Pfizer, Inc., 2, 5, 8,Sun, 2, 5,UCB, Inc., 2, 5, 8; D. D. Gladman, AbbVie Inc., 2, 5,Bristol-Myers Squibb, 5, 9,Celgene Corporation, 2, 5, 9,Eli Lilly and Co., 2, 5, 9,Janssen, 2, 5,Novartis, 2, 5, 9,Pfizer, Inc., 2, 5, 9,UCB, Inc., 2, 5, 9,Amgen Inc., 2, 5, 9; D. H. Collier, Amgen Inc., 3,Amgen Inc., 1; C. T. Ritchlin, Amgen Inc., 2, 5,AbbVie Inc., 2, 5,UCB, Inc., 2, 5,Novartis, 5,Pfizer, Inc., 5,Janssen, 5; P. S. Helliwell, AbbVie Inc., 2, 8, 9,Amgen Inc., 2, 8,Janssen, 8, 9,Pfizer, Inc., 2, 9,UCB, Inc., 9,Galapagos, 5; L. Liu, Amgen Inc., 1,Amgen Inc., 3; G. J. Kricorian, Amgen Inc., 1,Amgen Inc., 3; J. B. Chung, Amgen Inc., 1, 3. Mease PJ, Gladman DD, Collier DH, Ritchlin CT, Helliwell PS, Liu L, Kricorian GJ, Chung JB. Etanercept and Methotrexate As Monotherapy or in Combination in Patients with Psoriatic Arthritis: A Phase 3, Double-Blind, Randomized Controlled Study [abstract]. Arthritis Rheumatol. 2018; 70 (suppl 10). 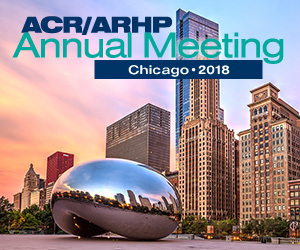 https://acrabstracts.org/abstract/etanercept-and-methotrexate-as-monotherapy-or-in-combination-in-patients-with-psoriatic-arthritis-a-phase-3-double-blind-randomized-controlled-study/. Accessed April 20, 2019.